One of the keys to a successful meal prep is having the best meal prep containers by your side. From having the proper Tupperware to the right size mason jars to convenient cooler bags, I’m going to lay out everything you need to succeed in the kitchen and make sure you won’t be left hanging high and dry when you’re ready to prep your food. 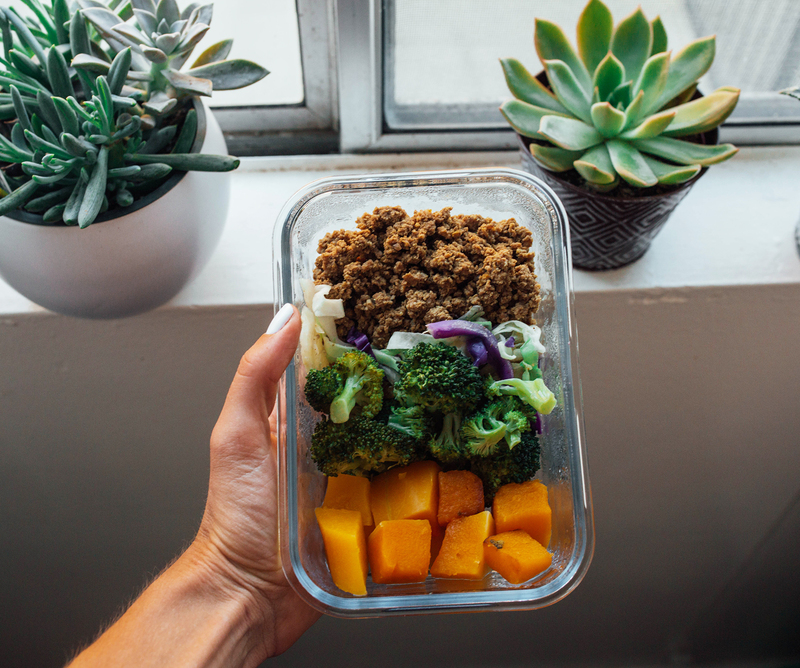 Not only will this post leave you feeling confident and prepared for meal prepping but buying some of these food prep containers will also give you the extra motivation to get started or continue on your health & wellness journey! I’m currently on a glass Tupperware kick! I love these single and double containers I’ve been buying from Amazon. The lids on these glass Tupperware containers also snap on snugly and you can buy a pack of 3 single compartment containers for $21.96 (Amazon prime too). I’d definitely have to rank Oxo Snap Container as one of the best meal prep containers on the market. I actually love having a variety of containers on hand and these are one of my go-to’s. They’re of course BPA-free too! These have definitely been on my list of best meal prep containers for a while. While I have been switching to more glass overall, these containers are definitely a light and easy option to mix in. When you’re ready to eat, just pour all the ingredients onto a plate! 16 oz mason jars are also key for food prep. I love using the 16 oz for my overnight oats. Check out this vanilla peach overnight oats recipe on the Beachbody Blog if you need some ideas to get you started! When it comes to traveling with healthy food, this Six Pack cooler bag is one of the best meal prep bags on the market. I like how portable and convenient it is. I always get questions about what food you can take through security and I never have any trouble with solid foods! Just steer clear of liquids like soups etc. Pro tip: Make sure your ice packs are frozen so you won’t have a problem getting them through the TSA check. This silicone bag is not only better for the environment, but also better for your body too! Skip the plastic bags and store your snacks and veggies in a stasher bag instead. This egg cooker is life changing! Not only can you cook in bulk but the automatic timed machine has your eggs come out perfectly & easy-to-peel every time. You can choose between the soft, medium and hard boiled settings too. Get creative with your veggies and save on carbs! A spiralizer is the perfect tool to turn vegetables like zucchini or yellow squash into spiralized noodles. Need a combination idea? Check out this salad jar recipe with spiralized zucchini noodles. When it comes to saving time, I think pre-combined spices are a lifesaver! Flavor God offers so many different options to switch up the flavor without having to switch up much in the kitchen. Turmeric is also a go-to of mine because of its anti-inflammatory and cancer-fighting properties. I usually combine turmeric, garlic, cumin, and black pepper together. Want to cook chicken really fast? This pot is a must! I just throw a whole chicken in, all the seasoning and veggies for soup and some water and you’re good to go. I literally set the timer to 25 minutes and the whole chicken gets cooked perfectly! I don’t tend to this pot as much in the summer but for the fall and winter season, it’s a go-to meal prep tool for me.